The Swim.com app provides me a streamlined experience to easily capture and assess my swims. 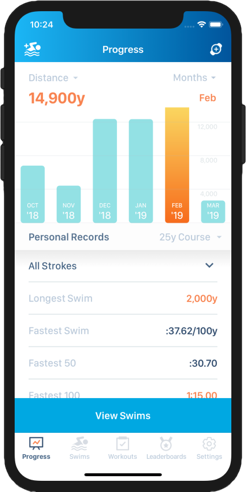 I like to jump in the water and go – and one of the key features of Swim.com is that it is 100% automatic; no need to stop and start the app to record your swims. 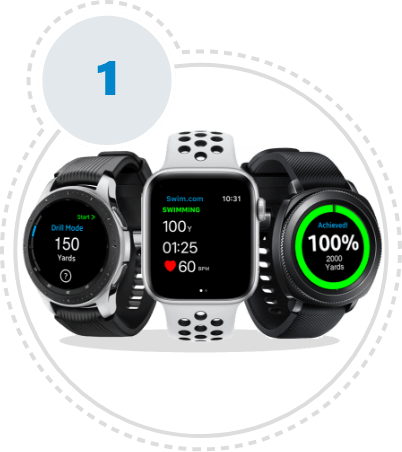 Combined with the ability to create and deliver custom workouts directly to my athletes’ wrists, Swim.com should be a key part of any swim training program. Get A Swim Tracking Device. Discover workouts and start Swimming! Connect, Compete and Conquer your Goals. Swim.com has more than a 1,000 workouts for you to choose from with more being added every day! 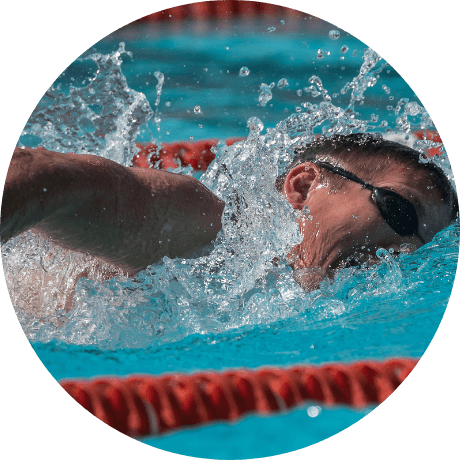 Find workouts suited just for you or let Swim.com recommend one based on your pace, preferred stroke type, goal distance and more. Want to build your own workouts? 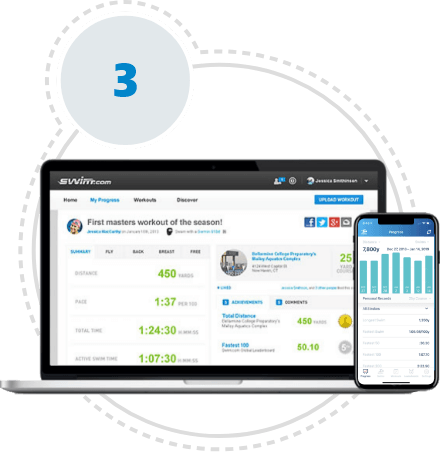 You or your coach can use Swim.com to build the perfect workout for you based on your goals and training plan. Choose from hundreds of predefined sets or build it from scratch. Leave your laser-printed paper at home and download your workouts directly to your wearable device for set-by-set guidance! When your done, see how you performed with a full breakdown of your swim for every lap. 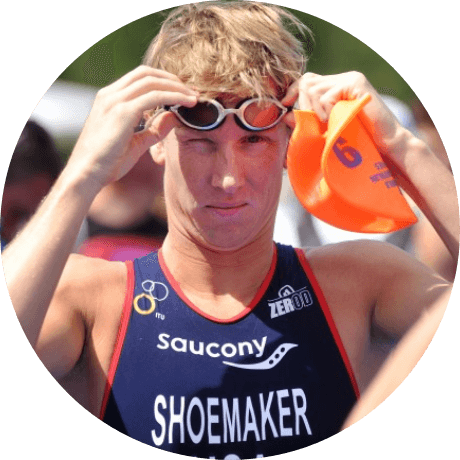 Whether a fitness or competitive swimmer, tracking your performance is key to becoming better. Track your swims by day, week, month, stroke type and more to keep on track with your goals. Choose from an unlimited library of workouts to keep things fresh or build your own workout. Then download these workouts directly to your swim watch to stay on track during your swims. Put it all together and compete on your pool’s leaderboards to see who’s fastest or swims the most. Want to compete against friends? Join or start a club and see who claims “lane 1” first!